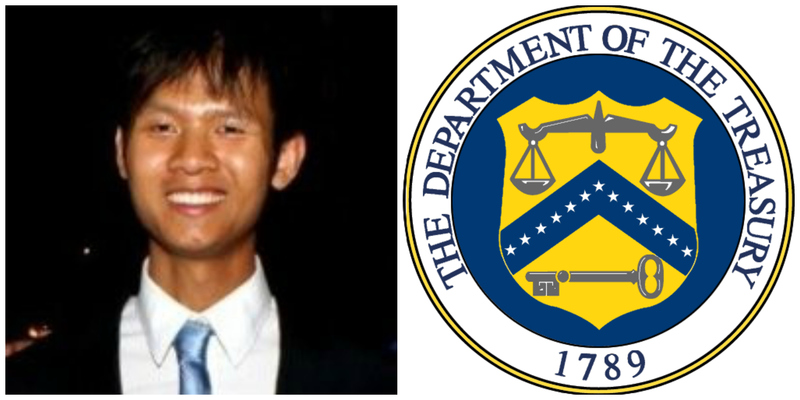 Nhien B e is an alumnus of the IE Master in Management, class of July 2013, and currently works as a Management and Program Analyst at the U.S. Department of the Treasury. What drew your attention to the U.S. Department of the Treasury? I liked that policy decisions at the Treasury reverberate both throughout the U.S. as well as around the world. The Department of the Treasury as one of the largest government agencies in the U.S. has numerous advancement opportunities through different functional areas. How did the IE experience help you find and succeed in your job? IE had the most interesting cast of characters that I have ever encountered. There were people who introduced me to the Spanish way of life, a fashion model, an extreme sports thrill seeker, crazy Eastern Europeans and Middle Easterners, and a very smart accountant from India, whose strong mental math helped me to keep up my mathematical agility. The diversity of experiences of well-traveled, multilingual international students at IE opened my mind to another world and shaped it to process information faster and more creatively. It was in this unique environment that I was able to learn even in a group as diverse as IE that there were ways where I still stood out and were distinctive only to me. Perhaps that is why they elected me as one of the class delegates for the final term. As IE is located in Madrid, there is so much to do that you are really forced to build up your time management skills so that you can balance academics alongside other interests. If nothing else, you leave IE with strong communication skills, which are important in any job where you interact with people on a regular basis. My application was one of the 20 applications out of 100 or so picked to be placed on my supervisor’s desk. He chose 12 people to interview and invited 6 of them back for a second round. The first interview my supervisor asked me abstract questions about what I would do in certain business scenarios. The second interview I was interviewed by my work team where I evaluated charts and based on my findings made recommendations. I received an offer two days after the interview and the timeline from when my application was sent to my start date was less than 2 months, which is fast for Federal Government hiring. Are there any personal insights you would like to share that you find useful? Time is a commodity, so travel as much as you can during the program. As much as I consider Madrid my second home, I enjoyed being able to reach major western European destinations within 3 hours or less of flight time from Madrid. In particular I have fond memories of Paris and unfortunately the luxury is not available here in the U.S. Remember, although you are the main character in your own story, it is other people that add to as well as detract from your life. Just go say hi, you may be surprised where it can lead you.